Builders, get your taxable payments report ready before August 28! The deadline is August 28, 2018, to report the total payments you made to each contractor whose services you used in 2017-18. You will need to report these payments to the ATO on the Taxable payments annual report. and use of an invalid ABN. The pointers below will help employers in building and construction, and from next financial year the above-mentioned businesses, adequately prepare for the looming deadline. You are a business that is primarily in the building and construction industry. You make payments to contractors for building and construction services, and you have an Australian business number (ABN). In the financial year immediately before the current financial year, 50% or more of your business income was derived from providing “building and construction services”. Note: contractors who pay other contractors for building and construction services may also be required to report if they are carrying on a business that is primarily in the building and construction industry. Remember – a contractor can be an individual, partnership, company or trust. Total GST included in the gross amount you paid. The details you need to report will generally be contained in the invoices you receive from your contractors. It is important to check the way you keep your contractor payment information to ensure you have the details you need to complete the Taxable payments annual report. You need to report payments you make to contractors for their building and construction services. Examples of occupations and activities covered by the Taxable payments annual report regime can be found on the ATO website at ato.gov.au/taxablepaymentsreporting. If invoices you received included both labour and materials, whether itemised or combined, you report the whole amount of the payment unless the labour component is only incidental. For instance, if a concrete truck if used to deliver concrete, and the driver merely directs the pouring of the concrete into the trenches, the driver’s labour component is incidental, or minor, to the supply of the concrete. You are paying for concrete and you do not need to report the amount paid. If however, the driver is a go-getter who pours the concrete, levels and does the formwork, then this is more than incidental. You are paying for the concrete as well as the building and construction service, and the total amount paid is reported. Pay-as-you-go (PAYG) withholding payments – for example, payments to employees, workers engaged under a voluntary agreement to withhold, workers engaged under a labour-hire or on-hire arrangement. 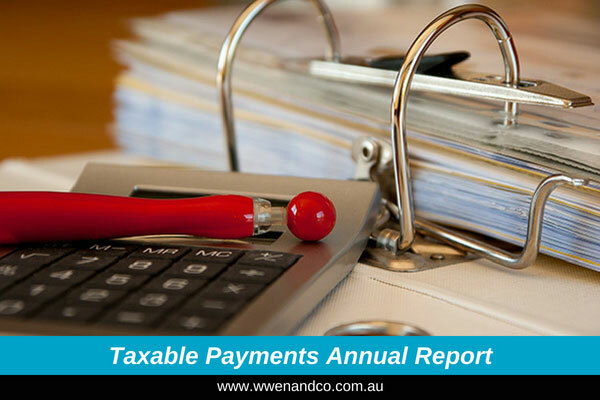 If amounts are withheld because a contractor didn’t quote an ABN, you can choose to report the details in the Taxable payments annual report instead of reporting them separately in the PAYG withholding where ABN not quoted – annual report. If you make this choice, only report the information in one report. If you are a homeowner making payments to contractors for building and construction services – for example, if you are building or renovating your own home.